JERUSALEM — French President Nicolas Sarkozy arrived in Jerusalem Sunday for a three-day visit, accompanied by his wife, model-turned-singer Carla Bruni-Sarkozy. 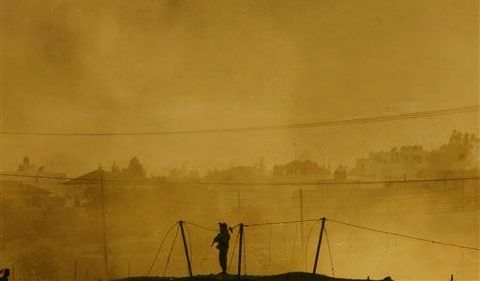 His schedule includes talks with Israeli and Palestinian leaders, a visit to the biblical West bank town of Bethlehem and a meeting with the parents of an Israeli soldier held by Palestinian militants in Gaza. The young man, Gilad Schalit, holds French citizenship. France was a strong ally in Israel's early years of independence. But relations soured, particularly after the 1967 Mideast war, when France imposed an arms embargo and began adopting more policies critical of Israel. Many Israelis have long viewed France as biased in favor of the Palestinians, and reports of rising anti-Semitism toward the French Jewish community — at 600,000, the third-largest in the world — have only fanned the flames. 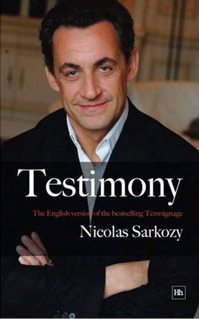 Sarkozy, whose maternal grandfather was a Greek Jew, praised Israel's democracy and quoted the biblical passage in which God promises the Holy Land to the children of Israel. The comments drew applause and broad smiles from most lawmakers but got scowls from the handful of Arab members. But as he turned his attention to the struggling peace process, reactions were less enthusiastic. Israel and the Palestinians have set a year-end target to reach a final peace deal. But the sides have said that goal is increasingly unlikely. The Palestinians are upset about continuing Israeli construction in the West Bank and east Jerusalem — areas they claim for a future state. President Sarkozy said Monday there could be no Mideast peace unless Israel drops its refusal to cede sovereignty over parts of Jerusalem claimed by the Palestinians, challenging one of Israel's most emotionally held positions. "There cannot be peace without recognition of Jerusalem as the capital of two states and the guarantee of free access to the holy places for all religions." 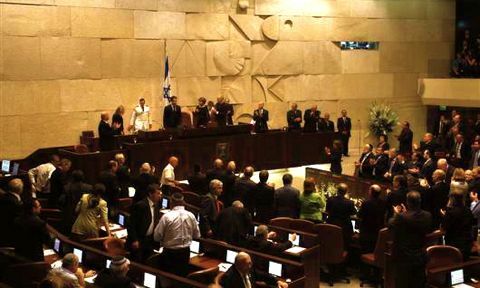 Speaking to a packed session of the legislature, Sarkozy also called on Israel to stop building settlements in the West Bank. Israel says the Palestinians must do more to rein in militants. 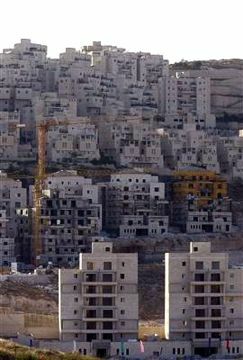 Israeli Prime Minister Ehud Olmert has declared a partial settlement freeze but said construction will continue in areas Israel intends on retaining — including major settlement blocs and Jewish neighborhoods in east Jerusalem. Olmert also opposes giving up control of Jerusalem's Old City, where key Jewish, Christian and Muslim holy sites are located. Israel captured east Jerusalem, including the Old City, in the 1967 Mideast War. 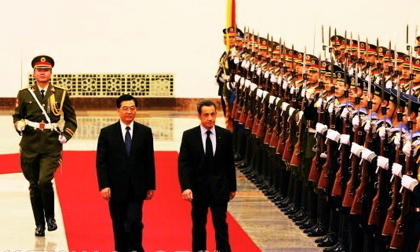 Sarkozy assured Israel it was not alone in its concerns about Iran's "nuclear military program" and said confronting Tehran requires a united international front. 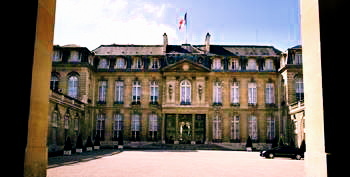 France takes on the presidency of the European Union on July 1. "France is determined to pursue, with its partners, a policy of progressively tougher sanctions," he said in French. "An Iran equipped with nuclear weapons is unacceptable for my country." At a meeting in Luxembourg on Monday, EU nations approved new sanctions against Iran, including a freeze on assets of the country's biggest bank and a travel ban on high-level experts dealing with Iran's nuclear program. Israel, which believes Iran is developing nuclear weapons, has welcomed the international sanctions, but warned that "all options are on the table" if diplomacy fails. 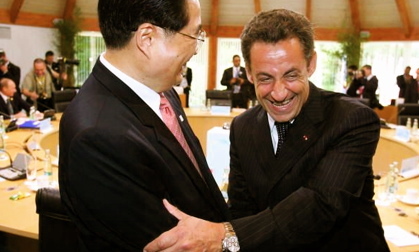 NOVEMBER 27, 2007 EST — BEIJING　｜China's global quest to secure uranium supplies received a boost on Monday when Areva, the French nuclear company, agreed to supply African uranium for at least the next 14 years. 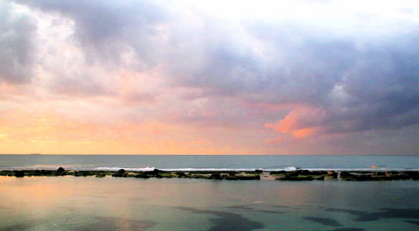 Areva will also build, operate and supply two nuclear reactors in the southern province of Guangdong. The €8bn ($12bn) deal with state-owned China Guangdong Nuclear Power Corp, the biggest commercial nuclear power contract on record, included at least 23,000 tonnes of uranium on top of an annual supply of about 600 tonnes to the two reactors, both of which had previously been announced. Areva also agreed to establish an engineering joint venture to transfer technology to CGNPC and work on other reactors in China. 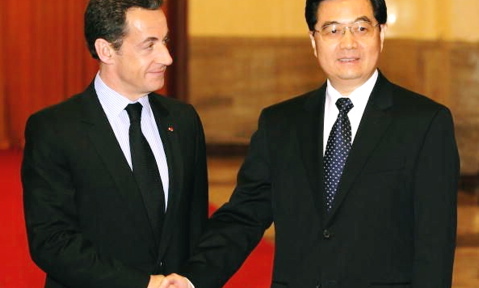 The deal was signed in Beijing in front of Nicolas Sarkozy, the French president, and Hu Jintao, his Chinese counterpart. With its ambitious plans to build dozens of reactors and more than double nuclear power capacity in the next 12 years, China is the fastest-growing uranium consumer in the world. However, its domestic uranium deposits are declining, forcing Beijing to look abroad to secure future supply in an already stretched market. 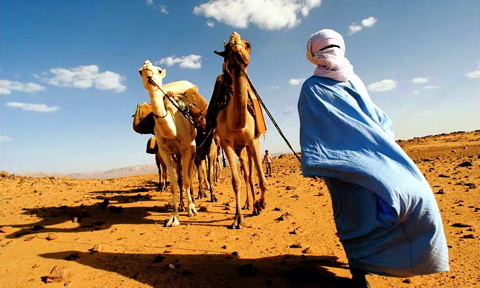 Under the deal CGNPC agreed to buy 35 per cent of the uranium production of UraMin, a Canadian mining company with uranium deposits in South Africa, Namibia and Central African Republic, which Areva bought in September for $2.5bn. UraMin has estimated uranium reserves of about 65,000 tonnes but Areva is looking for new mining opportunities and the company's eventual output could be much larger. 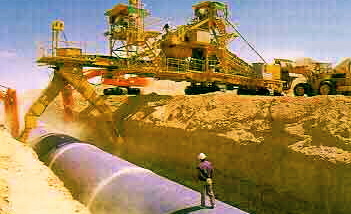 "The Chinese were very keen to secure uranium supply and were happy to agree to buy 35 per cent of whatever UraMin produces," said a person close to the deal. CGNPC agreed to pay a small discount to the future market price for uranium. The agreement lasts until 2022 but the two sides could easily extend it, said Anne Lauvergeon, chairman and CEO of Areva Group. Areva said its deal was "unprecedented in the world nuclear market" and marked the start of global co-operation with CGNPC, which will help build the plant in China's southern manufacturing hub. Ms. Lauvergeon said the company planned to double its production of uranium to meet demand from the "several hundred" reactors it expects will be built around the world in the next decade. CGNPC and state-owned China National Nuclear Corp, the country's other large atomic group, are in the process of negotiating a deal to take a stake in a uranium miner in Kazakhstan in return for an equity stake in unspecified Chinese nuclear facilities, according to the president of Kazatomprom, the Kazakh state-owned nuclear power company. Kazakhstan plans to more than double its uranium output by 2010, overtaking Canada and Australia, which also supplies large quantities of uranium to China, to become the world's biggest producer. PARIS — Libyan leader Moammar Gadhafi received encouraging words from France — and cut deals for $14.7 billion in contracts for armaments and a nuclear reactor — on his first official visit Monday to a Western country after renouncing terrorism and doing away with weapons of mass destruction. 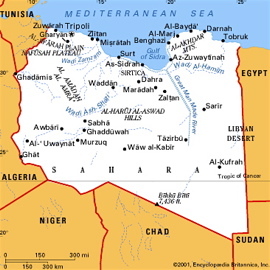 Lybia started moving back into the international fold with its 2003 decision to dismantle its clandestine nuclear arms program. 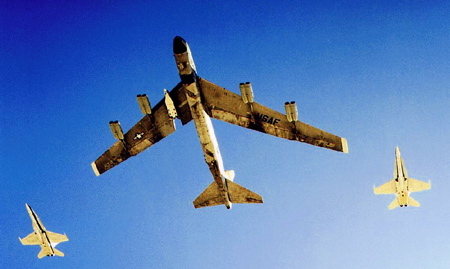 The same year it paid $2.7 billion to families of the victims of the 1998 Pan Am bombing over Lockerbie, Scotland, then agreed to pay $170 million in compensation to the families of the 170 victims of the 1989 bombing of a French UTA passenger jet. Gadhafi last visited France in 1973. 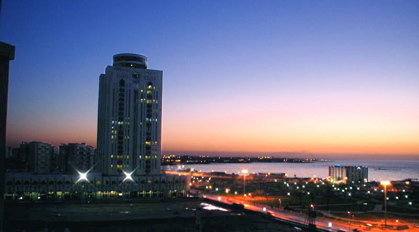 President Nicolas Sarkozy described the contracts as rewards for Tripoli's improved behavior. 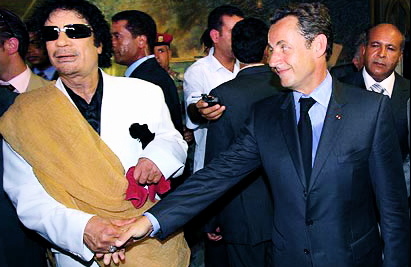 "We must encourage those who renounce terrorism, who renounce the possession of nuclear arms," Sarkozy said after a meeting with Gadhafi. He did not elaborate on the accords for a civilian nuclear reactor for a desalination plant and armaments. A signing ceremony was scheduled for Monday evening. Libya also agreed to buy 21 Airbus planes — 10 A350s, four A330s and seven A320s — but the value of the deal was not immediately given. 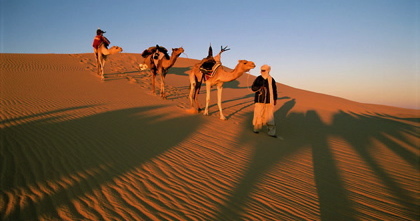 One of Gadhafi's sons told French daily Le Figaro that the Airbus deal was worth $4.4 billion. 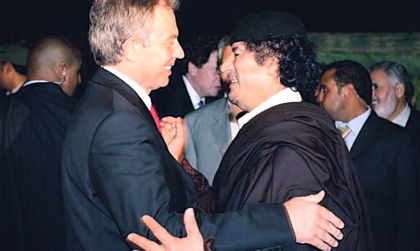 Gadhafi was long known as the champion of armed struggle and a sponsor of state terrorism. 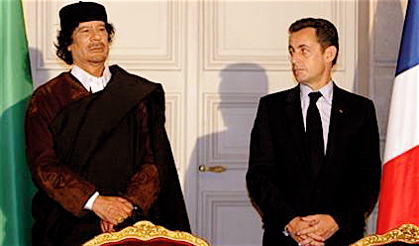 Sarkozy is the first Western leader to extend an invitation to the flamboyant "guide of the Libyan revolution" since his falling out with the West in the 1980s. "France must speak with all of those who want to return to the road of respectability and reintegrate the international community," Sarkozy said. Sarkozy wants to keep France in the running for hefty contracts in oil-rich Libya but also to send a signal to countries such as Iran, involved in a standoff over its disputed nuclear program, that benefits await those who abide by international rules. 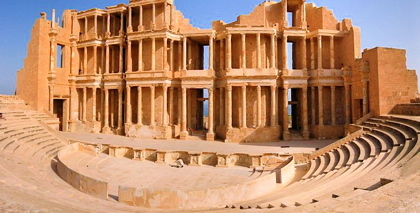 Last week, France signed a nuclear cooperation accord with Algeria, Libya's neighbor in North Africa. 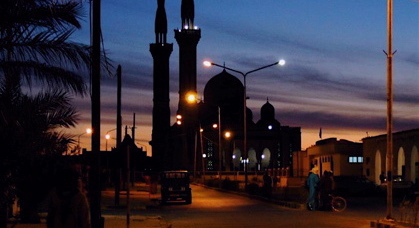 There, Sarkozy said sharing civilian nuclear technology with Muslim nations "will be one of the foundations of a pact of trust" the West must conclude with Muslim nations. His visit follows his decision in the summer to free five Bulgarian nurses and a Palestinian doctor who had spent eight years in Libyan jails on allegations that they had contaminated more than 400 children with the AIDS virus. 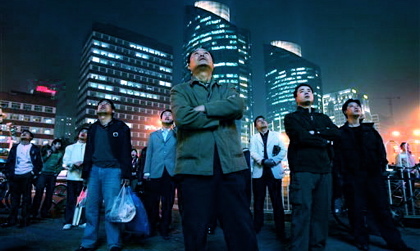 The release was the final obstacle to normalizing ties. As for Yade, the president said that as human rights minister her convictions were "perfectly normal" and he shared them. Yade's boss, As for Yade, the president said that as human rights minister her convictions were "perfectly normal" and he shared them. Gadhafi's visit brought protests and complaints, including from Sarkozy's own minister for human rights.Gadhafi was castigated by French politicians, philosophers and others before his plane landed on Monday — International Human Rights Day. Police detained a group of nearly 30 protesters at Paris' human rights plaza, according to AP Television News. 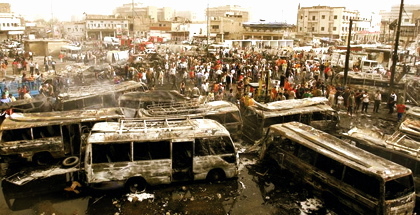 Up to 80 were arrested around Paris, both foes and partisans of Gadhafi, the Web site of the daily Le Figaro reported. 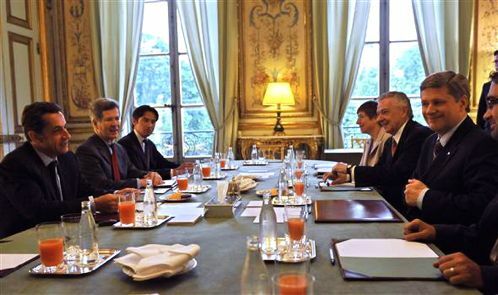 Foreign minister's trip symbolizes Sarkozy's efforts to improve ties with U.S.
BAGHDAD, Iraq — The French foreign minister arrived in Baghdad on groundbreaking visit Sunday after years of icy relations with U.S. over Iraq. Bernard Kouchner's plane touched down at Baghdad International Airport at about 6 p.m. His arrival was announced simultaneously by French authorities in Paris. Bernard Kouchner's plane touched down at Baghdad International Airport at about 6 p.m. His arrival was announced simultaneously by French authorities in Paris. The French foreign ministry said, Kouchner was in "Iraq to express a message of solidarity from France to the Iraqi people and to listen to representatives from all communities." The motives behind Kouchner's visit were not immediately clear. 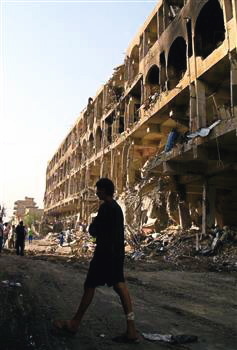 But merely stepping onto Iraqi soil was a major symbol of French President Nicolas Sarkozy's efforts to turn the page on any lingering U.S.-French animosities over the 2003 Iraq invasion. 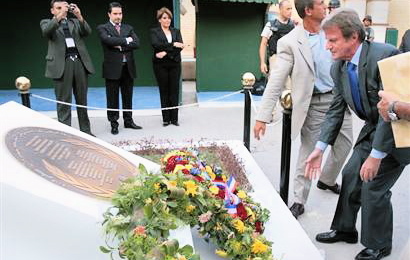 Kouchner arrived on the fourth anniversary of the bombing of the U.N. headquarters in Baghdad that killed U.N. special envoy Sergio Vieira de Mello and 19 other people. The two men were personal friends. Former French President Jacques Chirac's refusal to back the U.S.-led military effort in Iraq led to a new low in France-U.S. ties. France was also vilified in U.S. public opinion, with some Americans boycotting French wines, and French fries taking on the name "freedom fries" in the House of Representatives cafeteria. Former Defense Secretary Donald H. Rumsfeld spoke of a "New Europe" and an "Old Europe," with France squarely in the latter. Chirac and U.S. President George W. Bush eventually reconciled, but Sarkozy's election in May was a fresh start. 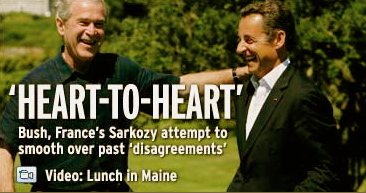 Sarkozy, nicknamed "Sarko l'Americain" for his admiration of the United States' go-getter spirit, met with Bush before he was elected and again for a casual get-together a week ago at the seaside vacation home of Bush's parents in Kennebunkport, Maine. 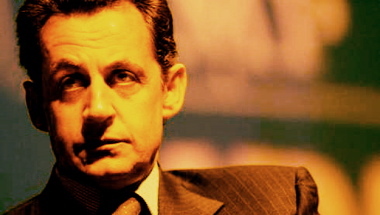 Sarkozy, however, has made clear that France will not be subservient. In his election night speech, he declared that the United States could count on France's friendship, adding, "friendship means accepting that friends can have different opinions" and pushing for the United States to take the lead on climate change. 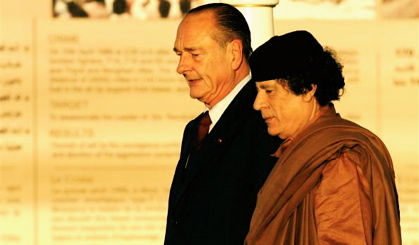 Like Chirac, Sarkozy saw the U.S.-led war in Iraq as a mistake. 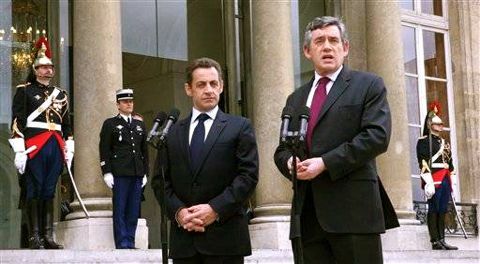 But Sarkozy says France has sometimes been arrogant in its approach to world affairs. His appointment of Kouchner — the former U.N. administrator for Kosovo and co-founder of the Nobel Prize-winning aid group Doctors Without Borders — suggested he wants to make France a stronger presence on the international stage. A Modern Lafayette? 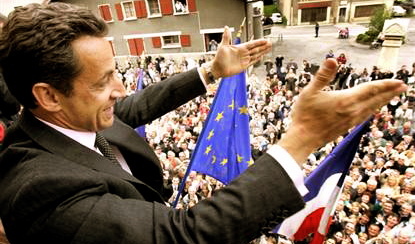 The election of conservative Nicolas Sarkozy as president of France likely means stronger ties with the United States. 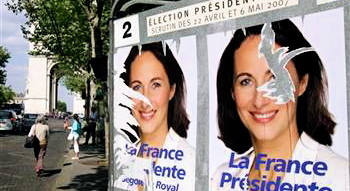 MAY 6, 2007 — France's new president speak American? Sure looks that way. Conservative Nicolas Sarkozy has defeated his Socialist Party rival, Ségolène Royal, by a margin of 53 percent to 47 percent. Royal, the first woman ever to come this close to the French presidency, conceded within minutes. So now the man set to govern the oldest (and arguably the most temperamental) ally of the United States for the next five years is someone whose message will be easy to translate: lower taxes, harder work for more money, greater consumption as the key to more employment and ever tougher measures against criminals and terrorists. 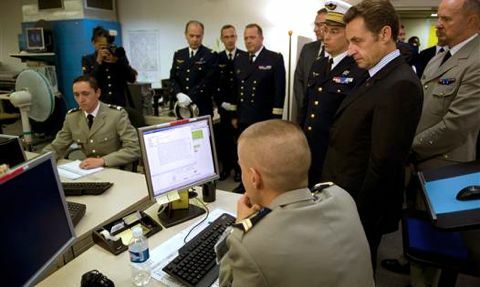 Braving derision by political rivals branding him the new “poodle” of President George W. Bush, who has long been as unpopular in France as he is these days in the United States, Sarkozy made a high-profile visit to Washington last September. 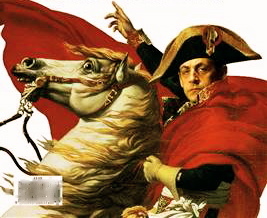 Just weeks ago, the French candidate published an American edition of his campaign manifesto, “Testimony: France in the Twenty-First Century” (Pantheon), with a new introduction that makes him sound like the best friend the Yanks have had in Paris since the Marquis de Lafayette. How Sarkozy’s ideas will play with the notoriously protest-prone population he now has to lead is an open question. Testifying to the confrontational mood he brings to the office, police contingents were reinforced today in the same outer-city ghettos that erupted with inchoate, incendiary anger in 2005, while Sarkozy was in charge of public order as the minister of interior. Large contingents of cops were also on hand in Place de la Concorde, the heart of central Paris, in case victory celebrations by the right wing degenerated into outright confrontation between Sarkozy’s supporters and those who hate and fear the man—or just want to use the occasion to raise hell. 5. Clear, concise conciliation with U.S. While he tends to wriggle around the question of French opposition to the war in Iraq, hinting he would eschew the kind of “verbosity” shown by outgoing President Jacques Chirac when Sarkozy was serving in his cabinet, the former interior minister is unquestionably a hard-liner in the wider fight against terrorists. “Now at the start of the 21st century, the United States and France again stand together in the same camp against a serious threat to global freedom.” Every time “terrorism strikes,” he says, “it is freedom that is the target. Facing such a threat, free countries have no choice but to pool their forces and work together.”. 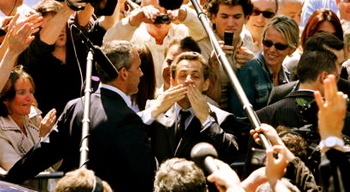 BREAKING NEWS — PARIS | MAY 6, 2007 — French voters chose Nicolas Sarkozy as their new president on Sunday, giving the conservative a comfortable margin for victory and a mandate for change, result projections from four polling agencies showed. His Socialist opponent conceded minutes after polls closed. 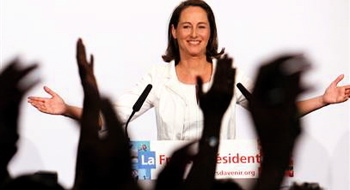 The agencies said the conservative won 53 percent of the vote amid massive turnout, dashing Socialist Segolene Royal's hopes of being elected France's first woman president. The projections were based on vote counts from representative samples of hundreds of polling stations across the country. "Universal suffrage has spoken. I wish the next president of the Republic the best in accomplishing his mission in the service of all the French people," Royal told supporters in Paris. French law bans the publication of any exit polls or projections in France until after the last polling stations in large cities close. La Libre Belgique daily and RTBF quoted several sources as saying Sarkozy was leading with 53 percent more than two hours before the balloting ends in the main urban centers. 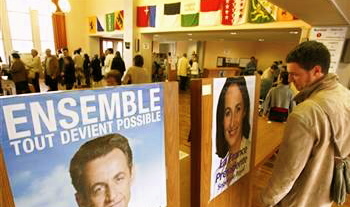 Le Soir, quoting sources close to the French Interior Ministry's political intelligence service, said Sarkozy had about 54 percent of the vote. Both Sarkozy, who says he had to fight harder because of his foreign roots, and Royal, a mother of four who says she had to overcome sexism, are originals in French politics and energized an electorate craving new direction. Turnout in the April 22 first-round vote was an exceptional 84 percent. Whoever wins, the race marks a generational shift, because a 50-something will replace 74-year-old Jacques Chirac, in office for 12 years. But Sarkozy and Royal, nicknamed Sarko and Sego, have radically different formulas for how to revive France’s sluggish economy, reverse its declining clout in world affairs and improve the lives of the impoverished residents of housing projects where largely minority youth rioted in 2005. Police were quietly keeping watch for possible unrest Sunday night in France’s poor, predominantly immigrant neighborhoods if Sarkozy is elected. Authorities in the Seine-Saint-Denis region northeast of Paris — the epicenter of the 2005 rioting — refused officers’ requests for days off Sunday, one official said. 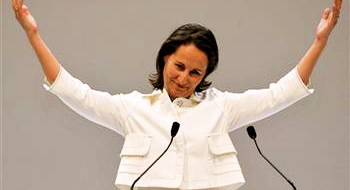 Royal, 53, is a former environment minister who believes France must keep its welfare protections strong. She wants to raise the minimum wage, create 500,000 state-funded starter jobs for youths and build 120,000 subsidized housing units a year. On the campaign trail she often talked about her four children, and she appealed to women to vote for her because she is female. Royal is strong on the environment and schools but has made a series of foreign policy gaffes — suggesting, for instance, that the Canadian province of Quebec deserved independence. On Saturday, the candidates stayed out of the public eye because French election rules forbid campaigning a day before the race. No polls or interviews were published Saturday. 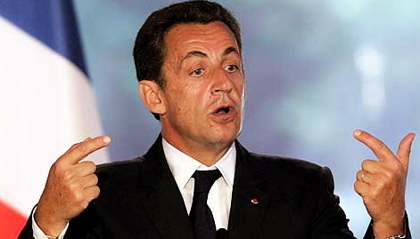 The Ipsos/Dell poll released Friday, which suggested that Sarkozy had consolidated his lead to 55 percent, surveyed 992 registered voters. The margin of error for a poll of that size is about 3 percentage points. 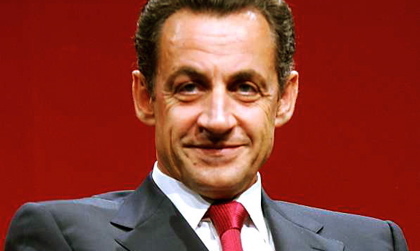 Other polls also suggested Sarkozy was ahead.